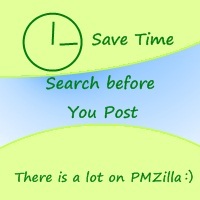 Home » New to PMP? » What is PMP ? Am I Eligible? certification program of the highest caliber. impartially and consistent with applicable laws. management by satisfying Professional Development Program requirements. and accomplishment and is highly regarded by colleagues and employers. groups (Initiation, Planning, Controlling, Execution and Closing). within the six-year (6) period prior to the application. hours of project management education. Earn your degree in our houston business schools and be on your way to success. Please clear my doubt about PMP..As you have already certifed PMP..I have around 3.6 Year of IT experience..Crrently helding the role of SAP Consultant and mainly on the SAP ERP implementation side..
Will it be beneficial for me in career prospect..As I am giving it so early in Feb 2013(Target).. Whether I am right candidate for giving this exam.. I am involved in project's of SAP but not any project management experience but played key role in implementation..
ProThoughts will explain you in detail about PMP Certification Eligibility requirement. Send inquire they will give you feedback. I'm a newbie and am determine and passionate about obtaining a PMP cert. However I need to verify my eligibility...I have not held an official PM position however I have performed 1 year of PM type of duties but that was between 2002-2004, although I may already have enough, how are other ways that you calculated your hours to qualify? U can contact with me so i can share some uselful matariels. I have a few friends who are diploma holders and have a lot of PM experience and over 15yrs work experience. Will they qualify. Are they eligible. Their education pattern will be 10+2+1. To know more visit this link for details. Last 10 years I am working as software developer. I handled projects with Informix 4gl, Vb.Net. My work area include study and understand project requirements, database desiging, actual coding, sqls, screen designing, implementation of the system, users training, online support to users, maintainance and upgradation of systems. Now I want to boost up my career. Can I go for PMP? Am I eligible for it? A four-year degree (bachelor’s degree or the global equivalent) and a minimum three years (4500 hours) of project management experience and 35 hours of project management education. The statistic say that PMP certified people have got hike 35% higher than the non PMP project managers in last 3 years. This trend is evolving and companies are getting benefited from the PMBOK and its crisp and clear definition of the fundamentals in the project management areas. Testudaan is a platform which help to get quick peek into the fundamentals through Multiple Choice questions (MCQ) and test the depth of your knowledge faster. www.testudaan.com can provide your quick overview of the material your require to get PMP certified.